NORTH BETHESDA, Md. — Car dealership service departments often see repeated dangerous issues with vehicles long before recalls are made. Potentially lifesaving information doesn’t always get passed on to the ones who ultimately need to know about it, the car owners. Jack Fitzgerald, chairman of Fitzgerald Auto Malls, says car manufacturers often don’t allow dealers to tell customers about safety problems. “You have a manufacturer that forces the retailer to put the manufacturer first,” Fitzgerald said. But Fitzgerald says several bills working their way through the Maryland legislature could change that for Maryland car dealers. However, manufacturers, which pick up the tab for recall or warranty repairs, oppose the measures, saying such a law would be a moneymaker for dealers like Fitzgerald. If dealers tell car owners about safety issues before a recall is issued or without permission from the carmaker, they risk retaliation from the manufacturer, according to Fitzgerald. He said retaliation can come in the form of audits, which can ultimately make dealers foot the bill for repairs made to vehicles. “If they think the dealer is spending too much money, they’ll come in with a fallacious audit and a charge back,” Fitzgerald said. Customers are notified about recalls. But technical service bulletins, also known as “secret warranties,” make dealers aware of problems that should be fixed, but many times that information is to remain confidential unless an owner complains of a problem covered by one of those warranties, according to Fitzgerald. The goal of several bills moving through the Maryland General Assembly is to give more freedom to dealers to disclose problems to car owners without the risk of not being reimbursed for the repairs they make. “They make it legal for us to disclose things that the policy and procedures manual currently forbids,” Fitzgerald said of the legislative proposals. The bills in the Maryland House and Senate would allow dealers to tell customers about all warranty information, without the risk of retaliation from a carmaker — something Fitzgerald says would encourage dealers to do more warranty work. “This information should be readily available to all consumers,” said Laura Christian of Harwood, Maryland. In 2005, Christian’s 16-year-old daughter Amber Marie Rose, died in accident linked to a deadly General Motors ignition switch issue, a defect which has been linked to 57 deaths nationwide. Alcohol and speed were also considered factors in Rose’s crash. “Having this information available to consumers in a timely basis could have prevented much of that,” Christian said. Not everyone supports the legislation. Dan Gage with the Alliance of Automobile Manufacturers says technical service bulletins are not secret. He says manufacturers must file that information with the federal government and the information is available online at safercar.gov. Gage says the bulletins are only meant to help service technicians fix problems when vehicles are brought in for service. He says Fitzgerald has a business interest in having this legislation passed. “This bill proposed by this mega dealer has enormous potential to encourage fraudulent deceptive marketing of service work for repairs that are neither needed or necessary,” Gage said. 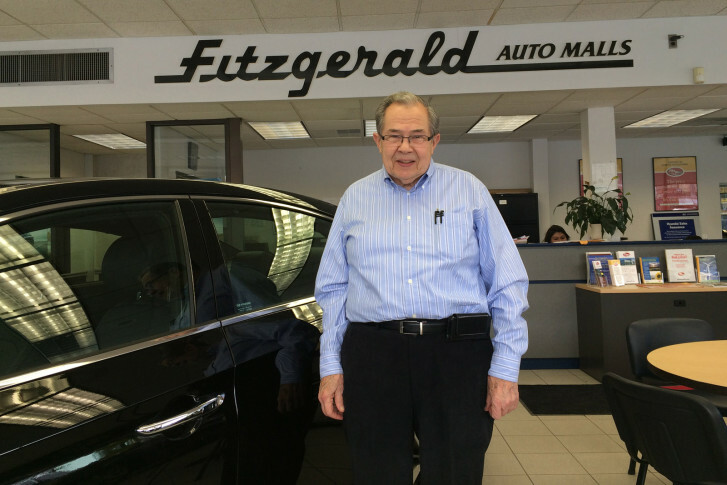 Fitzgerald operates 15 locations plus several body shops in Maryland. The company also operates in Pennsylvania and Florida. The Senate Judicial Proceedings Committee is set to hold a hearing on one of the bills Tuesday in Annapolis.